Tomatoes are the most popular edible to grow in the urban garden, so it should come as no surprise that we get more questions about growing tomatoes than any other garden plant. One reader contacted us to ask about her precious tomato plants. She was concerned that even though they were producing normally and the tomatoes were ripening well, the leaves were turning brown and it looked like her tomato plants were dying before her very eyes. Tomato leaves can turn brown for several reasons. The first thing to look for when a plant shows signs of stress like this is insect or disease infestation (such as blight). When you can rule that out, and you have ensured that you are providing adequate water, you should also consider the weather. Has it been an excessively hot season? Is it possible that the sun is damaging the leaves, causing them to die of prematurely? When you can rule out all of these outside influences, it is entirely likely that your mature tomato plant is simply doing its job. When the fruit is ripening normally, there isn’t much cause for concern unless a large portion of the plant is dying off. 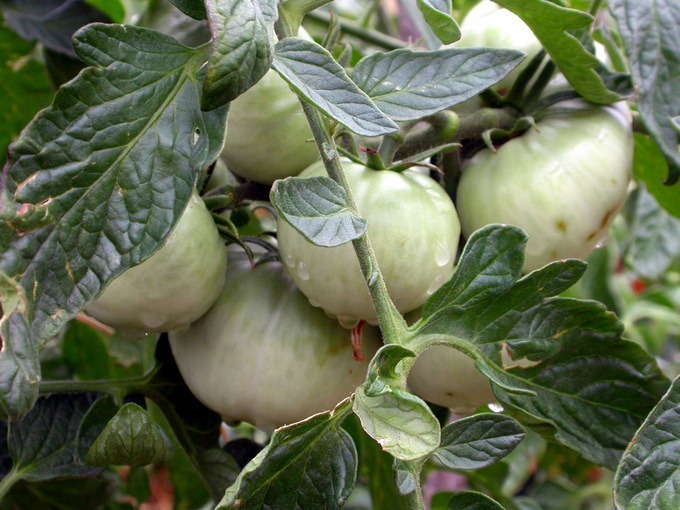 Otherwise, your tomato plant is allowing the most mature and heaviest leaves to die so that it can focus its energy on younger parts of the plant and especially on the fruiting branches. In most cases you can trim off the brown leaves and your plants will be as good as new.